Every year the same routine. First a change of scenery and greenery - from the back paddock to the front paddock, where the yards are. 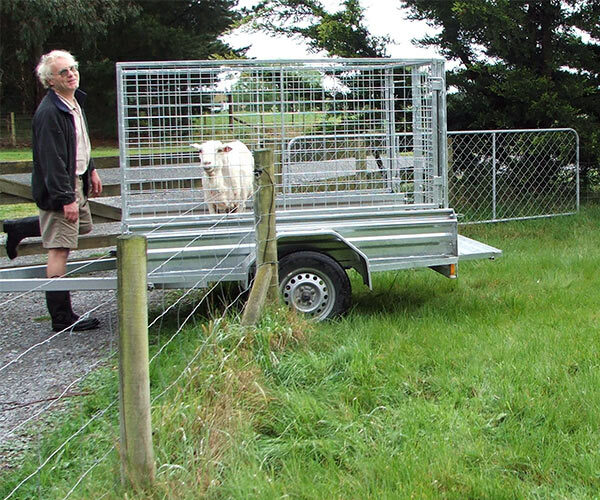 With George the ex pet-lamb trailing behind the great sheep move up the driveway takes place. Once in the front paddock there are a few delicate matters to attend to - the clipping of faces, and the cleaning of bottoms. 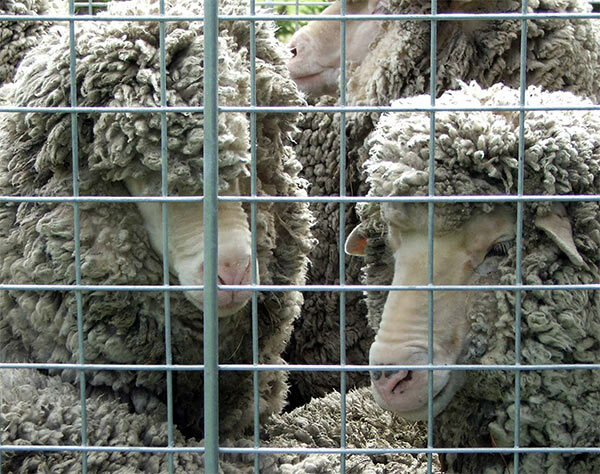 Then the waiting, thick with wool, for shearing day. Finally - it's here! The sheep are loaded six at a time into the trailer, and taken down the road. The plan is to get 'there' while it's sunny, and get undercover in the shearing yards. 'There' is a much larger neighbouring farm with its own shearing shed and friendly shearer called Mike. 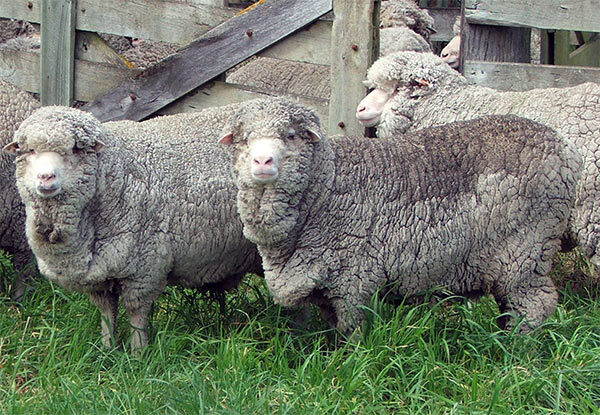 Merino sheep are very wrinkly with multiple folds of skin. Having at least four woolly chins makes the ewes look very ugly - older lady gardeners will sympathise. The Moosey ewes do lead a sedate country life, and it's been a few years since the handsome horned merino ram came to 'visit'. The shearing proceeds carefully and efficiently. No-one wriggles too much, and Mike is the consummate professional - there's hardly a scratch left afterwards. Where six sheep squashed before shearing, ten can fit on the return journey. The trailer trundles slowly back down the road - no problems! Released back into the front paddock there is much springing and bouncing. Imagine how springy lady gardeners would be, if they could shed so much weigh so painlessly and quickly! The shearer takes about three minutes per sheep. 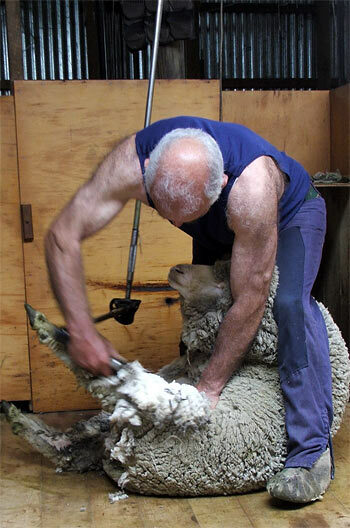 New Zealand has serious professional shearing competitions, but Ted is semi-retired now, and just takes on some local small flocks.